The meeting was held at El Dorado Bird Reserve between April 2nd – 9th, 2015 and was attended by nearly 50 people, including administrative staff, educators, rangers, area directors and guests. After an intense fight to protect the Sierra Nevada de Santa Marta, all the Fundación ProAves team met for more than a week in the beautiful facilities of the El Dorado Bird Reserve to assess and plan conservation strategies to be implemented during 2015. During the first two days, each area presented a report on its activities and achievements during 2014; the team then divided up into workshops by region to present and evaluate conservation issues, education and research in greater detail. During the following days a series of workshops and training sessions specifically geared to the team of rangers were held among which were: a Photography workshop, the Rights and duties of workers, the Roll of the rangers in conservation, Camera traps and GPS. During the meeting 3 special guests attended who gave us a series of training of the highest quality; Mireya Córdoba, professor at Javeriana University in Bogotá, who gave a workshop on botany and the importance of knowing the flora we have in our reserves. Jairo Maldonado, an expert on snakebites, provided a complete training on poisonous and non-poisonous snakes and how to deal with an accident; also accompanied us Marta Moreno, a professional in occupational health and work accidents. With great commitment to their conservation team ProAves officially delivered the equipment for the entire team, mainly for rangers and staff working in the field. 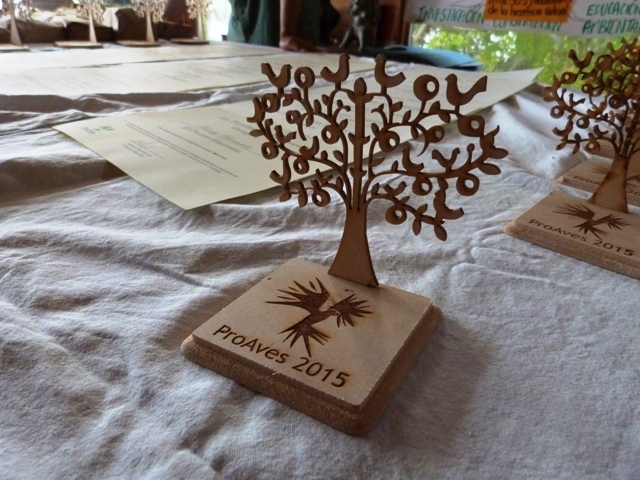 During this days, ProAves paid tribute to his collaborators with the delivery of some small awards that exalt the qualities and achievements of the entire team. “I am very grateful to all the staff of Fundación ProAves for their commitment and willingness to attend the meeting this year, first for their help to stop the backhoe loaders that were destroying our reservation and second for their time, dedication and discipline in each of the activities performed; I hope that this activity will help to strengthen us to continue successfully in the way of Conservation “. Alonso Quevedo, Executive Director Fundación ProAves of Colombia.